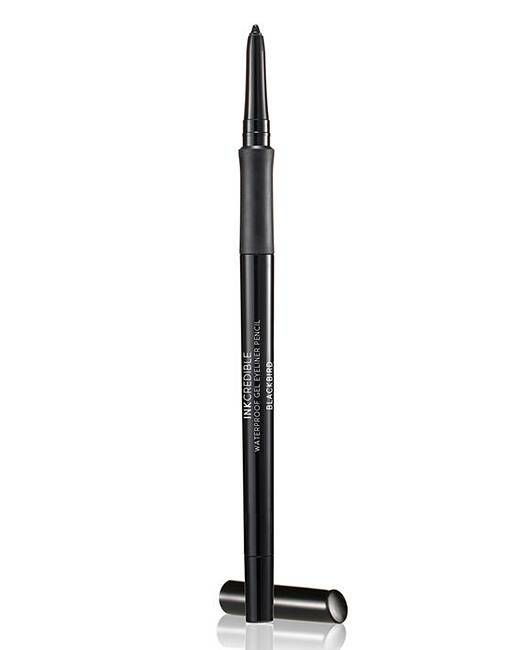 Laura Geller INKcredible Gel Eyeliner Pencil. An easy-on-the-eyes eyeliner that lasts all day! Super intense pigments deliver vibrant waterproof colour that lasts. The creamy gel texture glides on without skipping or tugging. With a hidden sharpener at the base of the liner to ensure precision lining, INKcredible will have your eyes looking nothing short of amazing! Ophthalmologist and dermatologist tested to be safe for contact lens wearers and sensitive skin. How to use: For a fine line, sharpen the tip and draw a line as close to your upper and/or lower lashes as possible. Extend the line slightly at the outer corner.